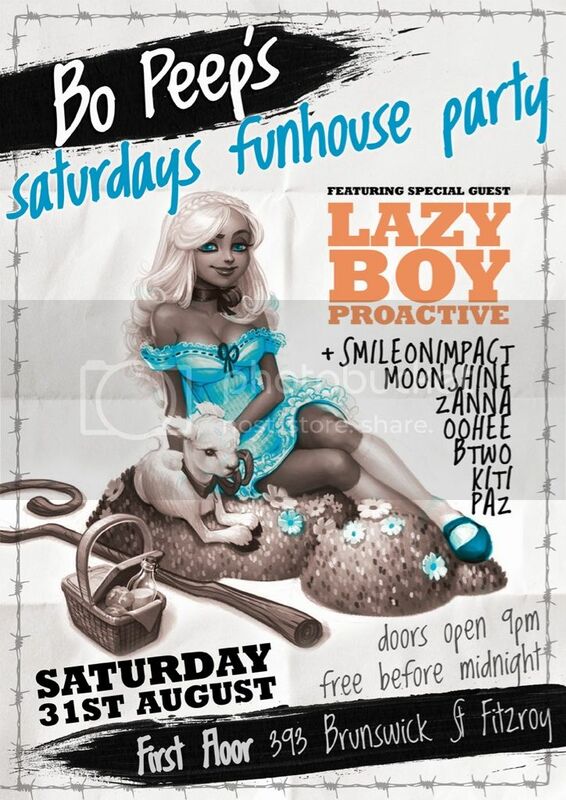 This Friday, LazyboyProactive will be palying at Bo Peep's, at First Floor, 393 Brunswick St, Fitzroy. 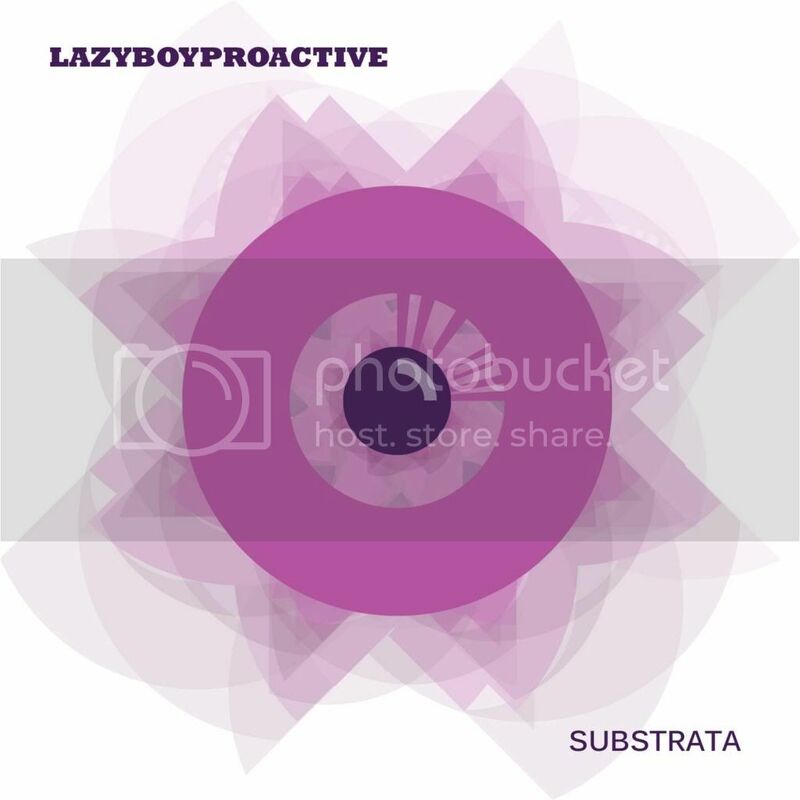 As a special treat we have rushed through, on pre-release via Bandcamp, the new single Substrata. Featuring 7 exclusive remixes from Hesius Dome, Rip Van Hippy, Garagee, Skazka, Arcane Trickster & Fate Aeffect. If you are lucky, you may even be able to pick up a copy of the limited edition CD single on the night. If you are in the UK, be sure to check out Love Potion, featuring our alumni Terra Nine, along with pals of the label, Liquid Lounge and Pete Ardron, at one of our favourite UK venues, Inspiral Lounge, on Friday 13th Spetember. 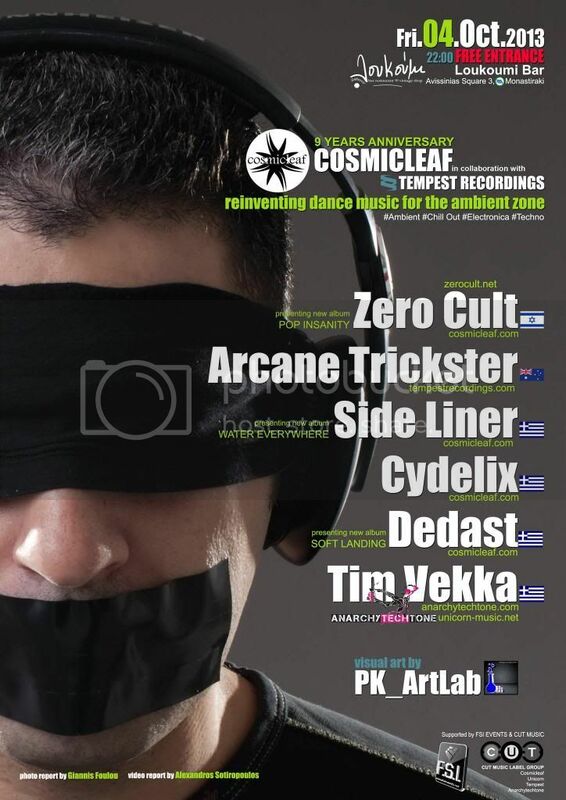 Featuring our very own Arcane Trickster, in the first ever show in Greece, along with Zero Cult, Side Liner, Dedast, Cydelix & Tim Vekka. It happen on October 4th, at Loukoumi Bar, Athens and its Free.